With the imminent announcement of GFI MAX Remote Management’s new and greatly improved remote support tool ‘Take Control’ – it’s time to take a close look at the world of Remote IT Support. If you’re a hard pressed IT Support Company there are many advantages to Remote Support which can bring huge benefits to your business (and your life). Billable Hours, Efficiency & Profit. You can hugely reduce cost of travel, vans, time, etc by doing more work remotely. And, if you’re clever, you can do multiple jobs at the same time, which can lead to greater than 100% utilisation and increased billable time or profit (where you’re working on contract). More Customers. Being able to do more work in the same time you’ve got available means you can scale your operation. You’ll be able to take on new business with resultant increase in revenue and profit without a great increase in costs. Avoid Context shifts. Having to answer a call, finish what you’re doing, jump in a car, drive to site, do the work, come back, and try and remember were you left off robs you of focus. You can focus better with fewer interruptions by doing more remotely. Faster more responsive service. Your customers want their problems or requests actioned right now. Remote Support software will help you deliver faster and more responsive support by cutting out travel. Your customers will be happy and will tell their friends. Work out-of-ours. Sadly, as an IT guy, you’ll have to occasionally work outside of working hours. Far better to do it from your own office (or home!) and far better for your customers if they don’t have to stay behind to give you access to their office. Pro-active maintenance. 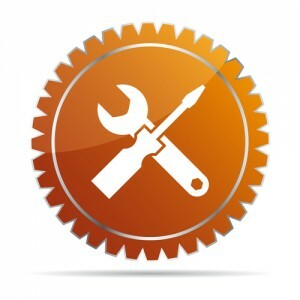 Related to the above-mentioned advantage, you’ll be way more inclined and find it much easier to offer and carry out pro-active maintenance on your clients’ systems. New Business models. Because you can do more with less, you can scale more effectively. You’ll be in a position to offer fixed monthly cost contracts with all the vast benefits these bring: More steady cash flow, deepened relationships, more predictable business and less stress. Bigger pool of Potential Customers. You’ll be in a position to offer your services outside of your current geographic location and be able to service them effectively. OK it’s actually eight advantages. But! And it’s a big but… too much Remote Support can cause relationships to suffer and therefore sales can suffer. So to my mind, you need to be very careful and balance this all with face time where you or your techs can chat, listen to what’s going on so as to retain friendly relations, extra sales and a long term relationship. I can’t even begin to imagine how our managerial / IT department had managed to hobble on by without this kind of technology at hand. I know I make sound as if we’ve had this kind of technology for decades, but it’s literally changed the way we do business. Remote support tools has literally freed us up from the fat the comes from baby sitting every single detail of our work, allowing greater productivity in less amount of time.